So you have decided to come to Swindon. Welcome to our humble town! 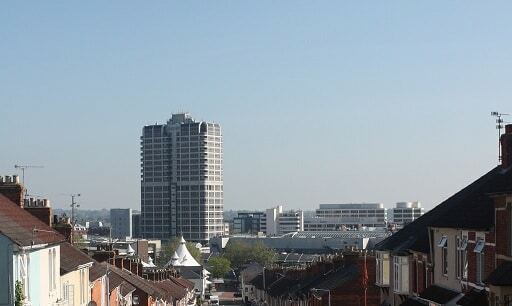 Here a mini guide to Swindon We Move and Clean has prepare. Hopefully you find it useful. Swindon does not have its own airport but it is not very far from a handful of major airports close by. The biggest airport is London Heathrow to the East. To the West is Bristol Airport. Add to the south is Southampton Airport. Depending on traffic they are all between 1 hour to 90 minutes away. To actually get to Swindon the most hassle-free option is to simply take the train from wherever you’re coming from. Another option is to drive in or take the bus. National Express go by Swindon several times on a daily basis. But the best options is to drive to Swindon or at least hire a car in Swindon as there is a lot of sightseeing in and around Swindon that would be difficult to visit without a car. Or expensive if you are going to rely on taxis all the time. There is so much to do in Swindon it just depends on what you are looking for. Swindon is home to a handful of a very unique Museums. Follow the links below to read more about each particular museum. Swindon has one main Art Gallery called, ironically, Swindon Art Gallery. It houses some of Britain’s most important collections and an Egyptian mummy. The best place to stay really depends on what you are looking to do. Like most towns you can’t go wrong if you stay in the Town Center. But on the other hand if you want to be a little bit further away from the hustle and bustle of the town center and then staying in West Swindon is extremely convenient as well. West Swindon is actually where the offices of We Move and Clean are located! The other area of Swindon worth a mention on where to stay is the Old Town. If you’re for a neighborhood that is quiet and slow paced then this is for you! It’s a quieter areas because of its distance from the old railway station in the Town Center. If you want to splurge the Marriott Hotel is in the Old Town. Of course if you like the countryside there are endless opportunities to stay around Swindon also. Swindon has every kind of food that you’re looking for. Read this blog post we did about the best places to eat in Swindon. Swindon is home to 4 major shopping areas. There is nothing that you wouldn’t be able to find in Swindon. Swindon has all the major stores just like any big city in the UK and all the boutique stores that makes Swindon unique. If you are looking for our carpet cleaning Swindon then we can help. We bring carpets back to life like no other company in Swindon!